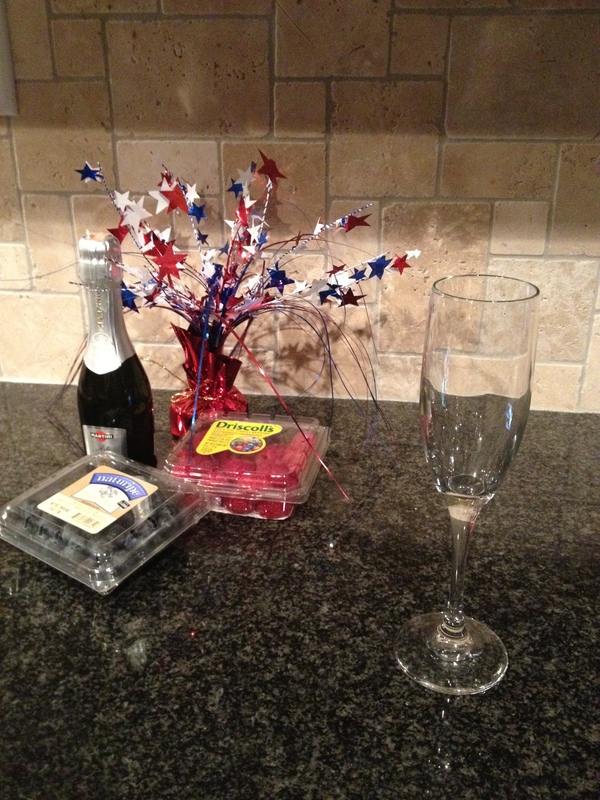 Looking for a fun cocktail to celebrate Independence Day this year? 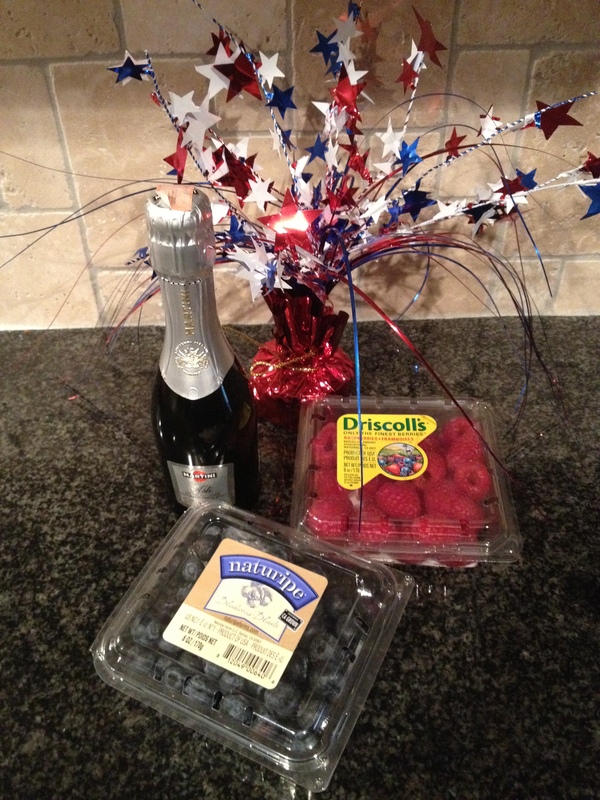 I was lucky enough to find berries buy-one-get-one-free this week, and wanted to find fun ways to enjoy them. This was one of the first things that popped into my head! And it’s just that easy! Make sure that you wash the fruit before using it. I try to wash only what I am going to use (you can always wash more as you go) because it helps the fruit last longer if you don’t wash it until you’re ready to use it! 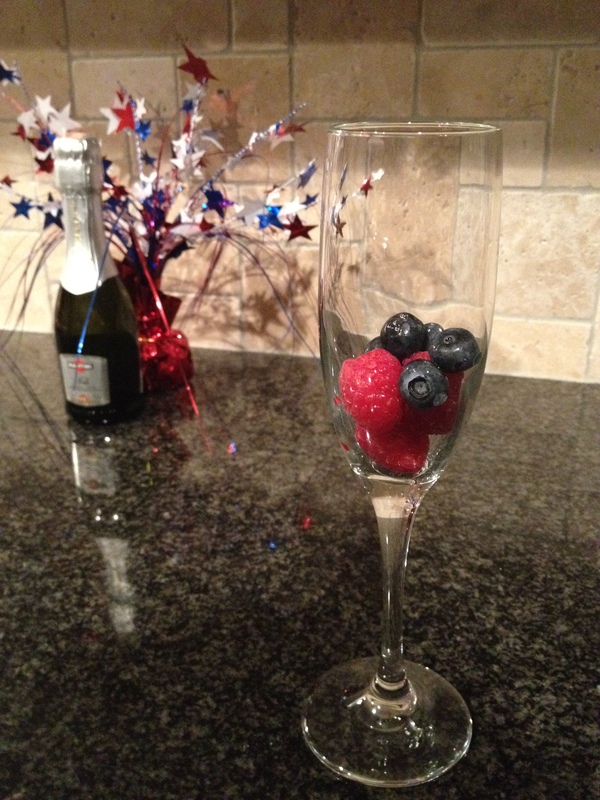 Put a couple of raspberries and a few blueberries in the bottom of the glass, pour the sparkling wine (hence “sparklers”) or Champagne over the berries, and enjoy! What do you think of the name? I came up with it myself! 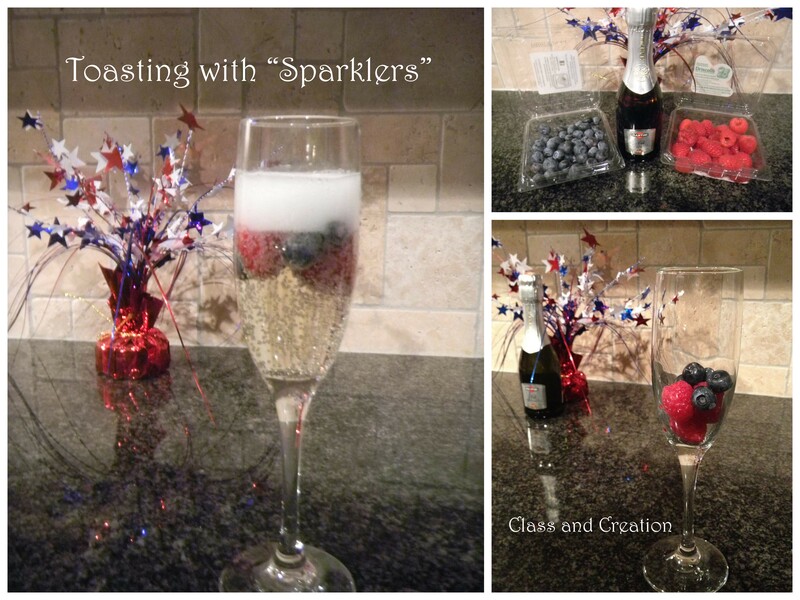 I just love this idea because it’s a super easy way to make a festive and delicious drink to celebrate the 4th of July! 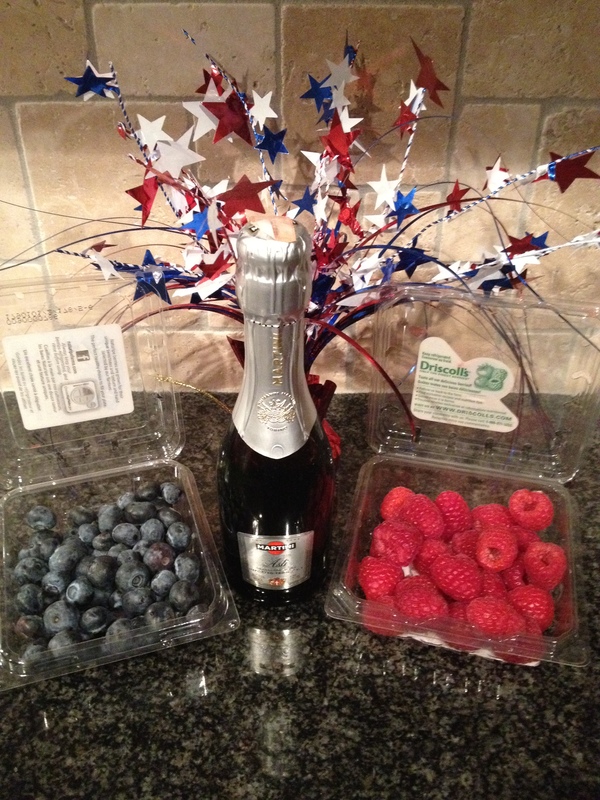 Asti is pretty much my favorite thing to sip anyway, and I adore summer berries, so I am really enjoying this combination! 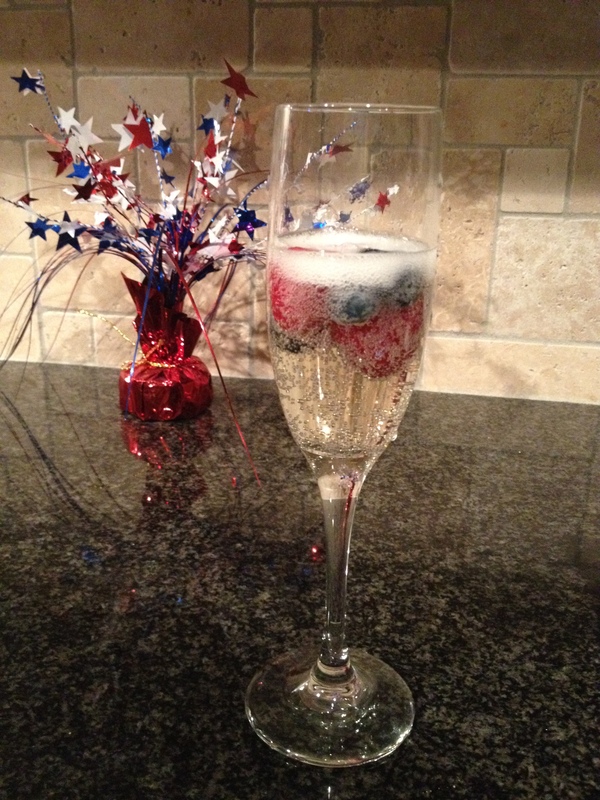 Do you have any fun drinks for the Fourth? Please share in the comments section, I’d love to hear your ideas! P.S. 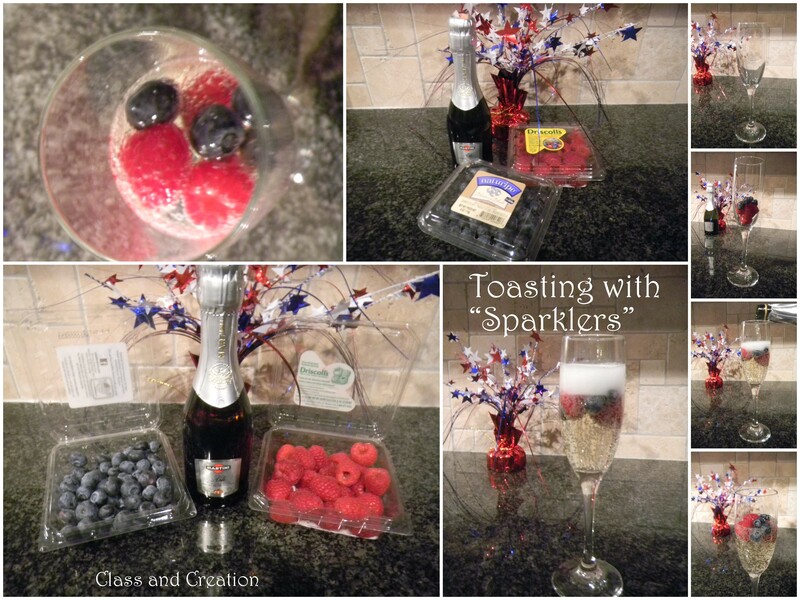 Don’t forget to check out my post from last year for more 4th of July ideas!